In a world where research animals are necessary, the humane care of lab animals should be a priority in all animal testing labs. This is one of the most clear-cut examples of how RapID Tags® exceed other forms of animal identification. Other methods of tagging and scanning will cause harm and undue stress to lab mice. RapID Lab created an approach that circumvents many of the downsides of metal tags, RFID microchip transponders, and tail tattoos. These are one of the oldest methods for tagging lab mice around. What do they look like? Dull, lifeless hunks of metal. They have no panache, and what's worse, they are challenging to read. This isn't the most grievous offense, mind you, that comes from how one must apply the metal tags. It is well known that metal tags cause irritation and lead to infections. Therefore, generous portions of disinfectant and antibiotics are usually required for the process. In times past, one would often have to pierce the rodent's ear independently of affixing a tag. Self-piercing tags have eliminated that need, but are still more harmful than they need to be. After placing a tag in the applicator, one traditionally has to secure the mouse by the scruff of its neck. Then, one would punch the ear with the tag, usually somewhere deep in the concha. Unfortunately, improper tagging is common, requiring another go of it. The tags are also prone to being ripped from the mouse's ear, either by accident or by an aggressive cage mate due to the burdensome heavy loop. In some ways, RFID transponders are worse. It requires special surgical skills to implant the microchip and issues during surgery could harm lab animals. Even when surgery is successful, there are still concerns that could manifest down the line. The RFID chip could migrate, causing discomfort and reducing its effectiveness. The microchip transponders even cause slightly higher instances of cancer in some rodents. Plus, if one needs to remove the chip, they're in for another round of surgery, and more potential for complications. The benefits provided by RFID do not warrant these many drawbacks. This method seeks to eliminate the improper treatment of lab mice. There is no cutting, no surgery, no additional piercing. The applicator and removal tools have been designed to be easy to use, and cause the least amount of harm to lab animals. So little harm, in fact, that the RapID Tags process is virtually painless. It requires no anesthesia, and can be mastered by most staff with just a few practice sessions. There are even simulated ears provided to practice on to encourage quick acclimation to the process. It's clear that the application and removal methods put a much greater emphasis on the care of laboratory animals than any other available technique, not only without compromising data collection but elevating the efficacy of that process. 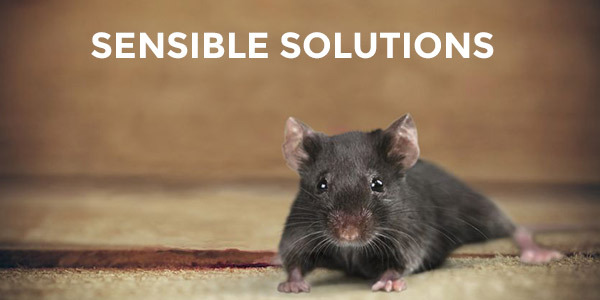 It's the reason that facilities that are dedicated to properly treating their lab mice prefer RapID Lab's automated mouse ear tags and their innovative process.